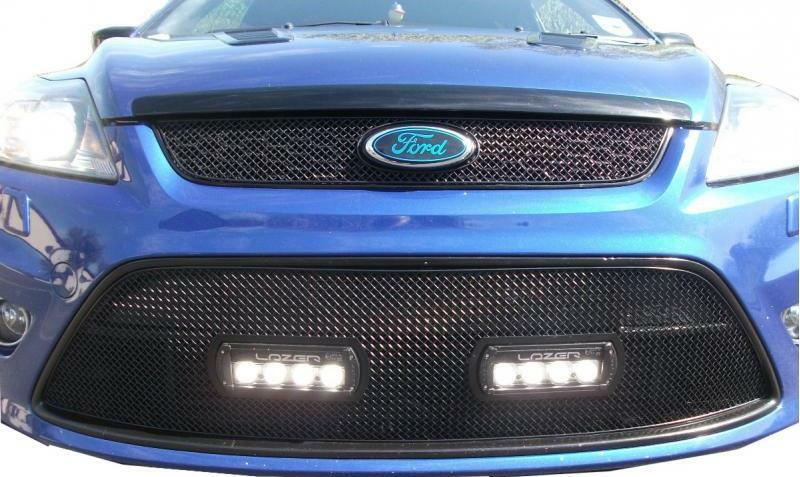 When you look at the front of a car, one of the most prominent features is usually the grill. This is why most people who are thinking about customising their ride will have a custom grill as one of the first things on the list. Your choice in this can be a defining factor in the overall look of a vehicle. Some grills come with a kit for self-installation, while others will be installed as part of a service. When selecting a grill, it should go without saying that you need to take care to choose one that is designed to fit your vehicle. Not all grills are suitable for all vehicles, and different models of the same vehicle may have different grill sizes. Mesh grills are made from a wire mesh and have a similar outward appearance to a net. The overall appearance is smooth, and the surface is relatively flat. They are a very popular choice for cars and particularly high-performance vehicles like sports cars and muscle cars. You get a sporty, elegant look with mesh grills; a desirable finish when customising your car. Aftermarket grills are usually made either from chrome or stainless steel. Stainless steel is a stronger material, and is more resistant to impact damage that might bend or break the mesh. But chrome, of course, is light-weight and has a sleek, shiny appearance that is often impossible to resist. One good compromise, if this is an important factor, is to get a stainless steel grill with a faux chrome finish to achieve the same effect. When investing in your custom grill, you want a product that is built to last. Depending on the material used, the design style, and the complexity of the mesh, you will be paying different amounts of money, but it is no small investment. The woven wire mesh is a design that is built for strength, and with a smaller aperture, you get greater density to add more strength to the structure. If you are likely to be driving off-road or hitting the track at high speeds, you would probably benefit from a grill built from a stronger material like stainless steel, with a design that offers superior strength. Whatever grill you choose to go with, you should ensure there is a good warranty cover in place. If a company is confident in its own product, it will offer a generous warranty for certain driving conditions. You deserve to get a durable, quality product for your money, so be sure you have the necessary protections in place to guarantee this.